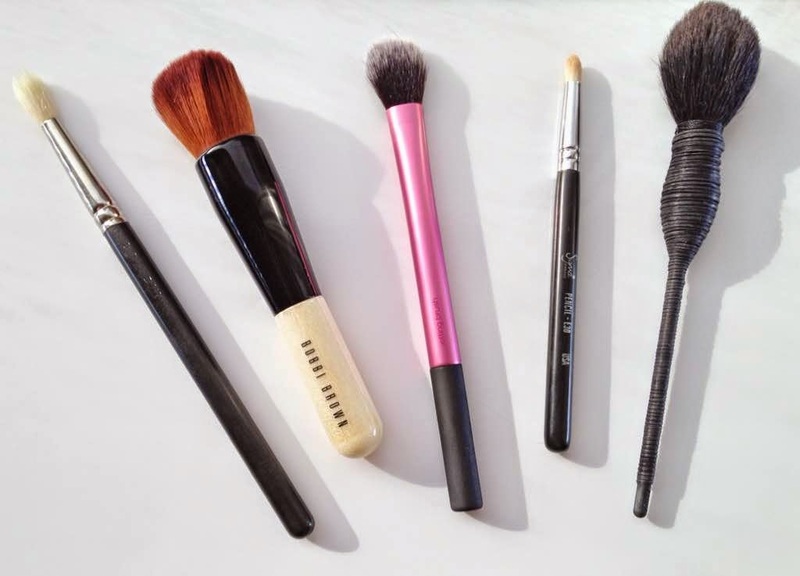 MAC 217: Who doesn't love this amazing blending brush? I simply cannot do my make-up without using this brush & have four in my collection because I use it so often! It is the very best blending brush I have ever used. It is very densely packed and has an oval shaped tip so is perfect for blending away any harsh lines. Bobbi Brown Full Coverage Face Brush: I have previously reviewed this here. I have a few different brushes that I use for applying my foundation but this is the one that I find gives the most flawless finish and I use it more than any of the others. Expensive, but worth it. Real Techniques Setting Brush: Although this brush is meant for use with powder, bronzer or blusher, I tend to use it with concealer because I find that it buffs it into the skin perfectly & seamlessly. Because of its shape, it is perfect for using on the under-eye area but I also use it on other areas of the face that need concealing. Sigma E30 Pencil Brush: I love this brush for smudging shadow or liner along the upper and lower lashlines or applying shadow in the crease. It is really soft and washes well without shedding. I have had this for about 3 years now & it is still perfect. Nars Yachiyo: This Nars brush is my favourite ever blush brush. It picks up just the right amount of blush, so is perfect for use with all blushes no matter how pigmented they are. I have a few other blush brushes in my collection, but none come near to being as good as this one. It also washes well & doesn't shed. It is probably the most expensive brush I have ever bought, but the price is justified because I cannot pick fault with it. Please tell me your favourite brushes! The Bobbi Brown full coverage face brush looks amazing! I love my MAC 217 too! I've never tried the NARS brush, but I definitely want to get it because it sounds amazing! I'm trying to resist the urge to purchase another NARS brush. I got the ITA last year and it's perfect. You and Gyudy have me longing fro the Nars Yachiyo, though. Hehe.